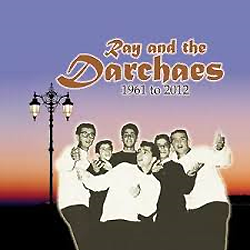 Hailing from the Asbury Park, NJ area, Ray and The Darchaes made their music mark in 1961 with "Little Girl So Fine" b/w "Carol". The group featured Ray Dahrouge, Sam Siciliano, Louie Scalpati, Dennis Testa, Sal Capolongo and Tony Juliano. Here are the "Original" '60s tracks from this versatile Pop / Doo Wop group.